This holiday season, a remarkable legacy gift is being presented to Texas A&M International University by The Matias De Llano Charitable Trust. 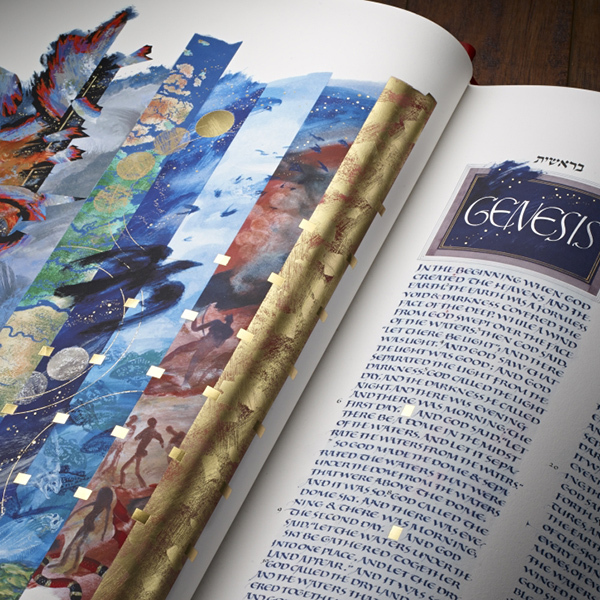 The gift is a Heritage Edition of The Saint John’s Bible, a massive seven-volume treatment true to the scale, beauty and artistic intent of the original manuscript, long considered a work of sacred art. TAMIU becomes the first public university in Texas to be home to the Edition, one of only 299 available worldwide. The permanent exhibit will be unveiled Tuesday, December 15, 2015 at 10 a.m. in the Sue and Radcliffe Killam Library’s Great Room. Texas A&M University System Chancellor John Sharp will visit the campus for the event. “Mr. De Llano directed that the Trust continue his legacy by helping the community that he lived in and loved. This special gift expands that legacy of caring and provides a rewarding opportunity to contemplate this sacred text in Laredo,” said Dennis Nixon, chairman of the Trust Committee of The Matias De Llano Charitable Trust. Other Heritage Editions of The Saint John’s Bible are located at Yale University, The Vatican’s Library and Museum of Art, Pepperdine University, andSt. Martin-in-the-Fields, London. The University will begin its State-authorized holiday schedule of operations by closing at noon on Wednesday, Dec. 23. The campus, Killam Library and offices will remain closed through Sunday, Jan. 3, 2016. Offices will reopen and full services resume on Monday, Jan. 4 at 8 a.m. The Spring 2016 Semester begins Wednesday, Jan. 20.